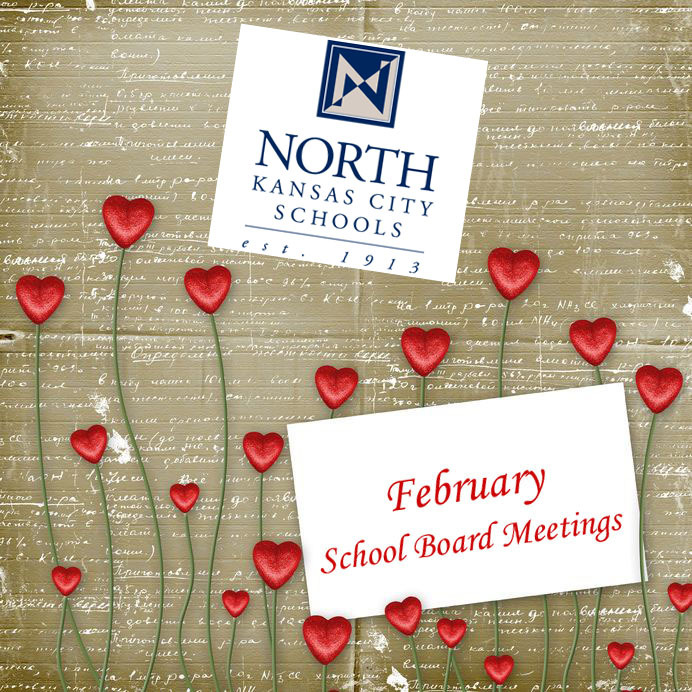 The North Kansas City School District’s Board of Education will meet Tuesday, Feb. 28, at 7 p.m. Before the meeting, board members will attend a dinner co-sponsored with the Missouri State Teachers Association (MSTA). This morning, the MSTA coordinated an event in Jefferson City during which district leaders had the opportunity to meet with state legislators. Missouri’s General Assembly is currently in session. Bills are pending on educational issues ranging from school funding to unaccredited districts. Only one item is on tonight’s agenda after dinner, and that is viewing an inspirational PowerPoint presentation, Big Rocks, on the topic of the district’s new strategic plan. Next month the board will meet on two Tuesdays, March 6 and 27. Tonight’s meeting, which is open to the public, will take place at the district’s Doolin Center; 1900 N.E. 46th St.; Kansas City, MO 64116.